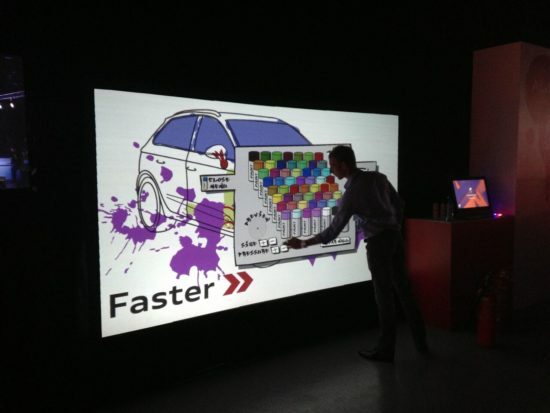 Creating your own graffiti artwork that can be printed out onto a t-shirts or a plastic bottle is just one of the MANY features this Digital Graffiti Wall can do. 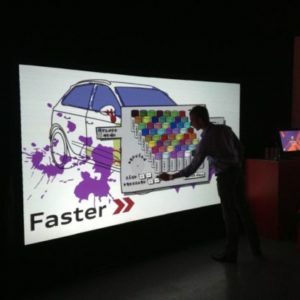 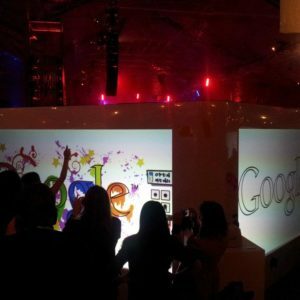 Costs to have this Digital Graffiti Wall at your event start from GBP £ 2,250 all depending of the size of the screen required, the duration and if printing on site is required. 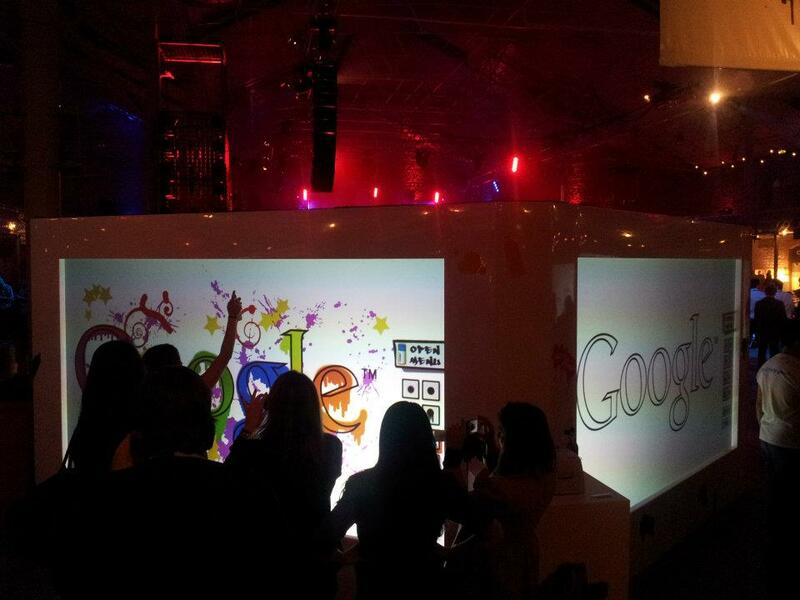 Who would have thought that graffiti would go digital….. well guess what, it has been digital for the past few years. 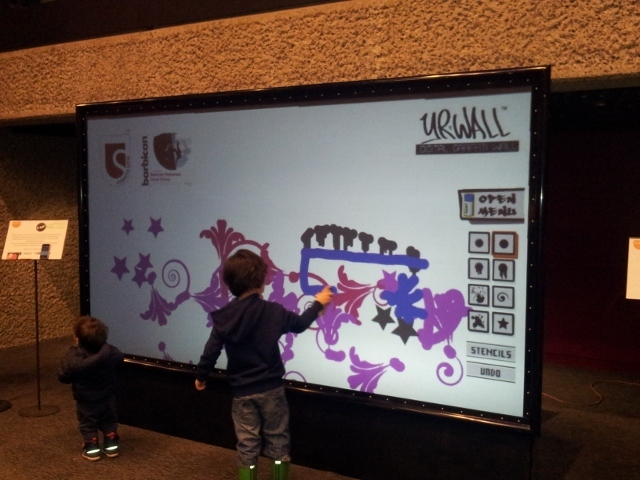 This SUPER intelligent digital graffiti wall has featured at a variety of events and has created an effective centre point of interaction. 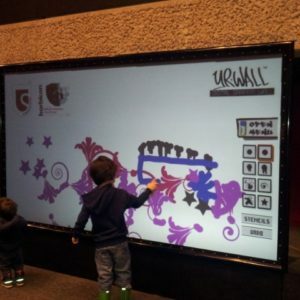 The Digital Graffiti Wall brings out the creativity in anyone no matter their art skills and one of the amazing features is that a design once finished can be emailed or shared via social media channels. 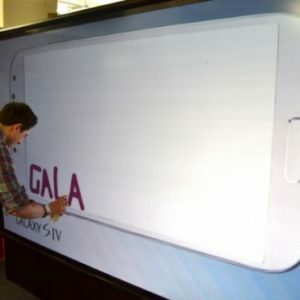 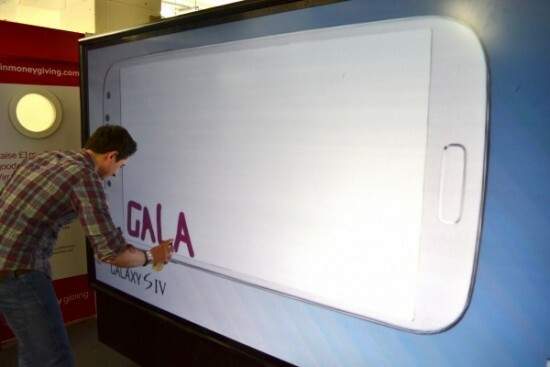 An added extra feature that can be attached to the Digital Graffiti wall is the printing of creative designs onto various things such as T-shirts, stickers and material bags just to name a few.